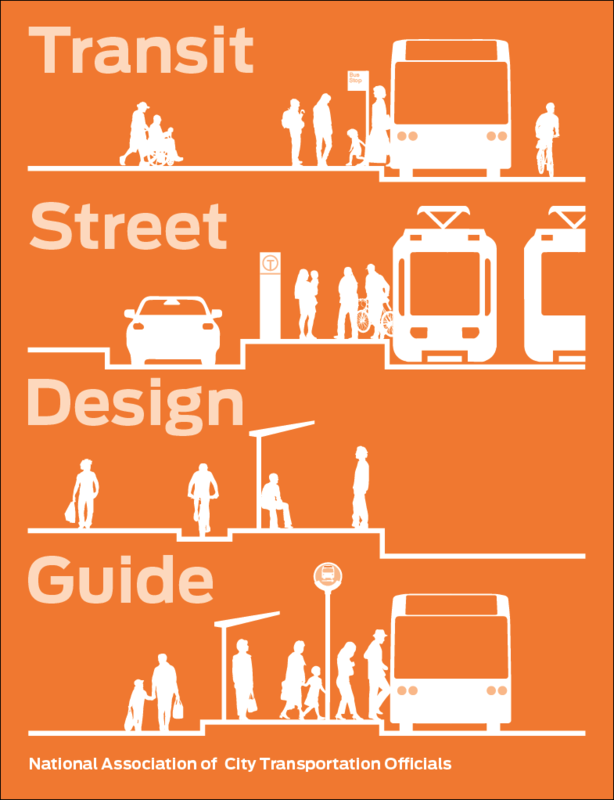 Clear branding and route legibility are critical features of an easy-to-use transit system. A strong, unified brand makes a transit system look like just that: a system to get everywhere you need to go. Predictable, incremental wayfinding and brand identification guides riders through the entire trip. Use wayfinding signage to guide riders to the transit stop, especially where stops for opposing travel directions of the same route are not located immediately nearby each other, as on one-way street pairs. At popular transit destinations such as shopping areas, civic centers, inter-city rail stations, airports, and entertainment venues, clear signage helps riders easily find stops. At busy transfer nodes, wayfinding guides riders promptly to connecting routes. Information and wayfinding features located away from transit stops help riders choose between travel options in advance, and then find the right stop depending on the travel option chosen. Strong branding reinforces user confidence by displaying a recognizable and unified identity. The transit station often serves as a recognizable landmark with strong neighborhood identity. 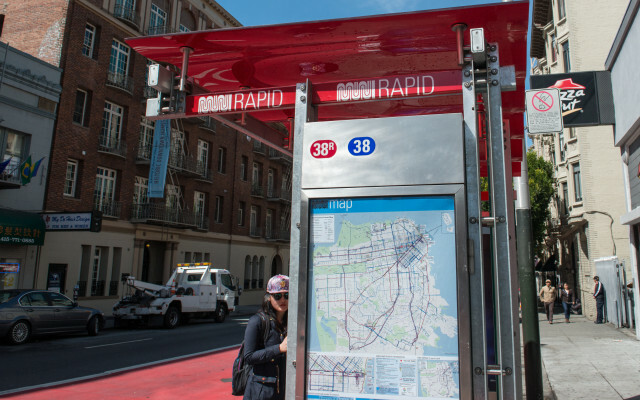 Information alerting riders about nearby, transit-accessible destinations at stops allows passengers to make more informed decisions about travel options. Distinction between types of service, such as local and rapid, can be highlighted through distinctive branding of stops. Simple network structures and rider procedures are inherently easier to understand and may require less instruction. Wayfinding elements should be clearly placed at regular intervals, especially at confusing areas and at decision points, where potential riders choose a transit route and travel path to access transit. Name stops, stations, and destinations to reinforce brand and recognizability. At locations with multiple lines or stops, name all the stops for a geographic element and provide platform letters or numbers to distinguish boarding areas. Place wayfinding in visible and predictable locations, such as overhead or at eye-level. Wayfinding should show both the number/name of a route and its direction/destinations. Distinctions among frequency are more useful to passengers than distinctions among modes. On maps, provide distinct thicker lines or bolder colors for frequent services. Match color, icons, and names across the system. All wayfinding signage and materials should be consistent with regional or agency brand; using consistent logos, colors, and fonts reinforces visibility and identity. Include tactile or audible cues, providing directional guidance at decision points and signs confirming the route taken, especially in confusing or difficult-to-navigate areas. For station-area destinations, indicate direction and travel times in easily understood units, such as blocks or approximate walking time.